At Dave's Home Inspection Service, we offer a variety of inspection services to suit your individual needs. Whether you need a standard home inspection or home inspection as part of a real estate transaction we can help! With over 35 years construction service and I.T.A. certified we serve the city of Winona and surrounding areas. We meet all standards and ethics in all our inspections. You searched long and hard for the home you’re buying. I realize you are investing much of your savings on this home and know you deserve the best home inspection you can get. Let me help you feel more confident about your decision to buy. A home inspection is one of the most important steps in the home purchase process. I will educate you about the house you are considering, print a 13-page report with detailed explanations and photos of the problems found, and discuss with you any maintenance concerns and repairs. I want you to have all the information possible so you feel comfortable moving ahead. Scheduling a home inspection before you list a home for sale is a great idea for people who are interested in closing quickly and with fewer surprises. You can list your property with confidence. You don’t want to lose a potential buyer because their private inspector found things wrong that you could have had repaired or replaced before you listed your property. 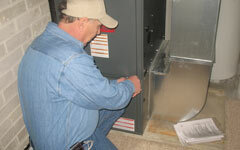 Complete home inspection including radon and mold Inspection. I’ve lived in Winona, MN my whole life and attended the Winona Public Schools and later Winona Vo-Tech. 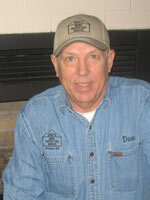 I’ve worked in the Winona area for 34 years in residential and commercial construction. I attended Kaplan Professional Schools in Bloomington, MN to become a certified home inspector. A variety of inspection services to suit your individual needs.